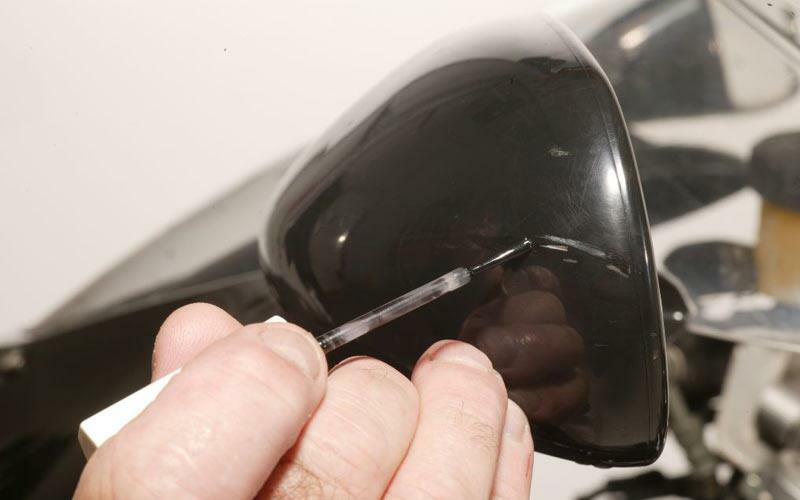 If you are unlucky enough to damage your bike's paintwork it can sometimes be pretty hard to get hold of the paint from the dealer network to carry out the repairs yourself. But there are two companies in the UK that have links with all the major manufacturers and are able mix up exact matches of the manufacturer's colours like candy apple red or polar bear blue. Standox Motocolor and Lechler UK have got distributors all over the country who can supply the paint. They can also refer you to an approved repairer.